The Melbourne Symphony Orchestra (MSO) has just announced a fabulous kid friendly concert, which will be performed in the Hamer Hall at Arts Centre Melbourne this coming April. 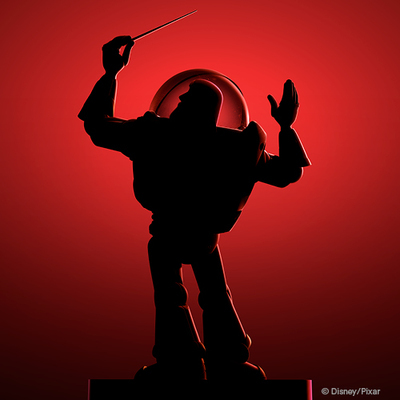 Pixar in Concert will be an amalgamation of stunning high-definition visuals from some of your most loved Pixar movies, coupled with live music performed by the MSO. From the Toy Story trilogy to The Incredibles and Up, Pixar has given us some of the most beloved characters in cinematic history. The forthcoming April school holiday spectacular will see the MSO present some of your favourite Pixar movies in a way you've never heard before; live in concert. This is chance for you to enjoy memorable clips from Pixar’s most popular films including Cars, Finding Nemo, Wall-E, Ratatouille, A Bug’s Life, Monsters Inc. and Brave. The MSO will bring to life the characters you and your family love with Grammy and Academy Award winning scores by Randy Newman, Patrick Doyle, Thomas Newman and Michael Giacchino. WHERE Hamer Hall, Arts Centre Melbourne. TICKETS: From $45 concession / $50 full price.